Firm Overview Mario N. Delmonaco Esq. 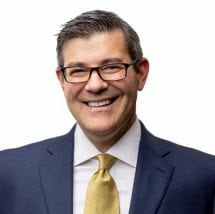 Mario N. Delmonaco is an associate of the firm and concentrates his practice in the area of matrimonial law. Mr. Delmonaco graduated from The College of New Jersey with a degree in Pre-Law and was a member of the Golden Key Honors Society. He received his juris doctor from Thomas M. Cooley Law School in 2005. While in law school, he interned with the Honorable Thomas V. Manahan of the New Jersey Superior Court, Family Division, which ultimately became a clerkship in 2007.